A multi-purpose truck that can be used as a sack truck or four wheeled platform truck. Tubular Steel frame with a Grey powder coated finish with Black and Blue plastic components. Easy to use; quick one handed conversion - no pins or tools required. Wheels: Front: 2 x 126mm Dia. Rear: 2 x 62mm Dia. This Cosco 2-in-1 convertible sack truck is perfectly suited for light duty use around the office or home. Although the truck is made from tubular steel, it still weighs in at only 7kg, so it is simple for anyone to pick the truck up and move it to the job in hand. The 100Kg capacity allows you to move significant weights with little effort, and as this sack truck is backed by a superb 5 year manufacturer's guarantee, so you know that it is not going to let you down. This Cosco truck is easy to fold up and takes up very little space in the back of a vehicle therefore we often find that people who travel for their jobs and need to move product in and out of vehicles order this convertible hand truck as a simple handling solution. 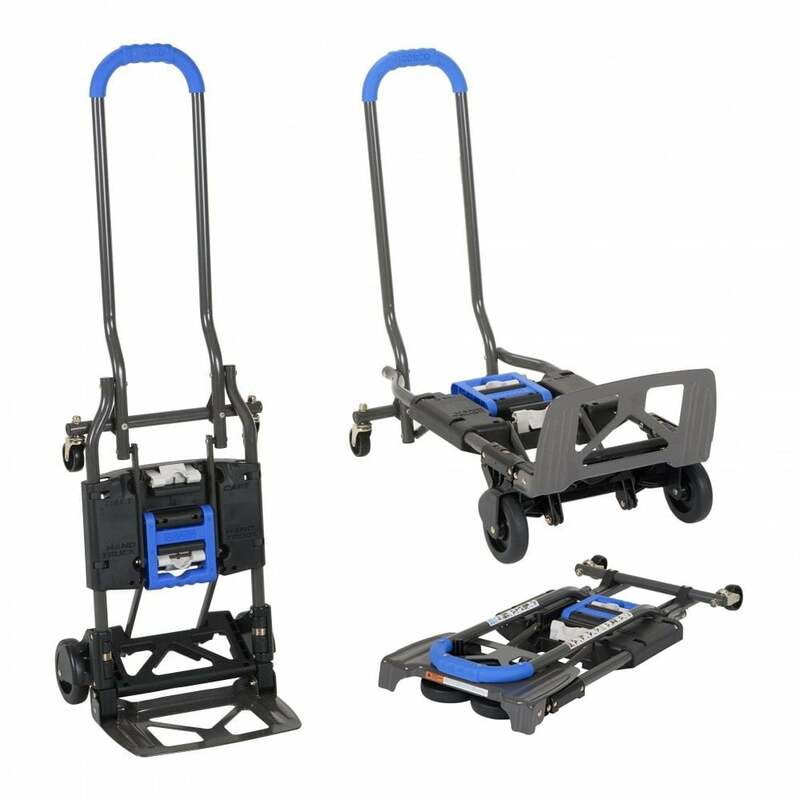 Best flexible trolley - works for bumpy surfaces.